One provider to manage them all! At Yumaro we have highly experienced in Support Coordination staff on our team. 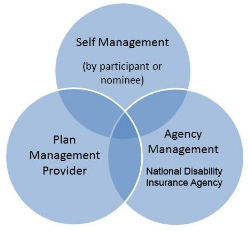 They provide case management type services for people who have “Support Coordination” in their NDIS plan. Support coordination is a capacity building support to help you implement all the supports in your NDIS plan to with the aim of achieving fantastic life changing outcomes. With over 30 years of experience, Yumaro is already the 'go to' organisation for many people with a disability. Yumaro is an integral part of the lives of our employees ֠we understand your needs and have your interests at heart. If you are eligible, Yumaro can provide you with Support Coordination to help you thrive under the NDIS. How do I know if I should ask for Support Coordination in my NDIS plan? I am confident in researching service providers that could deliver funded supports approved in my plan. I am confident in contacting service providers who could deliver the funded supports approved in my plan. I am confident meeting and interviewing service providers who could deliver funded supports approved in my plan. I am confident in deciding which service providers would best suit my needs, as approved in my plan. I am confident in making an agreement for services or supports with a provider who has agreed to deliver the funded supports or services approved in my plan. The National Disability Insurance Agency (NDIA). Yumaro NDIS plan management service allows you to have maximum control over your money without the hassle of chasing up invoices and payments. claiming payments from the NDIA for you. If you choose this service you are able to request additional funds in your NDIS plan to cover the cost. The prices for this service are fixed by the NDIA. Note, plan management is not like the old system where you lose a percentage of your funding to cover this service, rather you will be given additional funding to cover the cost of the service. Yumaro have an experienced accounts department based in Moruya that are experts in the disability industry. Call and make an appointment to speak to Mark to discuss how we can help you, Ph 44743336.